Developed under the extremes of racing conditions in conjunction with the New Zealand Olympic and Kenwood Cup teams, Spectraspeed™ was designed to provide the optimum performance for the competitive sailor. Manufactured to minimise stretch, Spectraspeed's winning edge over other systems is its spun polypropylene inner sheath that eliminates movement against the core. 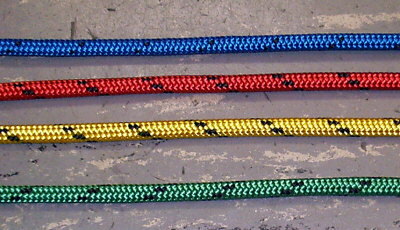 Available in Green, Yellow, Red or Blue with black fleck.